TORONTO—Clarifying the storyline for fans of her book and its television adaptation, author Margaret Atwood announced Wednesday that the handmaids in her best-selling novel The Handmaid’s Tale are supposed to be aliens. 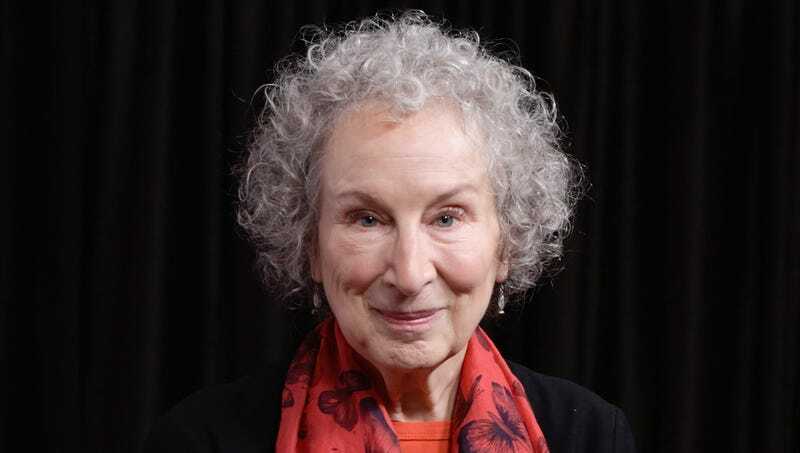 “I appreciate the conversations about patriarchy and feminism my book has sparked, but what I wrote really isn’t relevant in those discussions, because it’s about space aliens,” said Atwood, noting that her first draft included a prologue about unearthly beings walking down the ramp of a flying saucer, but scrapped the introductory section because she assumed her readers would find it too obvious. “As far as we know, the extraterrestrials are genderless. They wear those long capes to hide their tentacles, and the color red doesn’t symbolize anything, it’s just the color of the oceans on their home planet Trovari-5. People assume the male overseers want to subjugate women, but really the commanders have to keep them captive otherwise the handmaids would eat people’s faces.” Atwood added that she hoped people wouldn’t make the same mistake about the television adaptation of her vampire thriller, Alias Grace.